In addition to 24-hour skilled nursing care, Maryhill also offers a specialized care for those residents with Alzheimer’s disease or other related dementia. 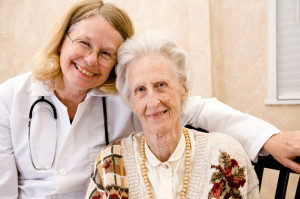 Our priority is to provide excellent care in a safe environment provided by caring staff. The mission of our Special Care Unit is to promote and support each individual’s dignity and ability to function at their highest possible level. Maryhill is the local site for the Northeast Wisconsin Alzheimer’s Association Support group. We meet on the second Wednesday of each month at 2:00pm in the front room. This group is open to both the community at large and our Residents’ family members. Jesy DeRoche and Patty Sparapani are the facilitators and can be reached 715-251-3172 or by email at jderoche@maryhillmanor.com or psparapani@maryhillmanor.com. For more on Alzheimer’s care from the Alzheimer’s Association, click here.